Instant Whey™ PRO continues to deliver additional high quality glutamine peptides, whey peptides in combination with a 25% increase in Digezyme® enzyme complex. The main ingredients in INSTANT WHEY™ PRO are whey isolates which are 90% protein. Some brands include these, but currently none use native whey isolate as a main ingredient; this is the ultimate A+ grade whey protein that is extracted directly from fresh skimmed milk at low temperature using ultra and cross-flow microfiltration resulting in a product that contains up to 166% more bioavailable cystine and 16% more leucine in comparison to other forms of whey. 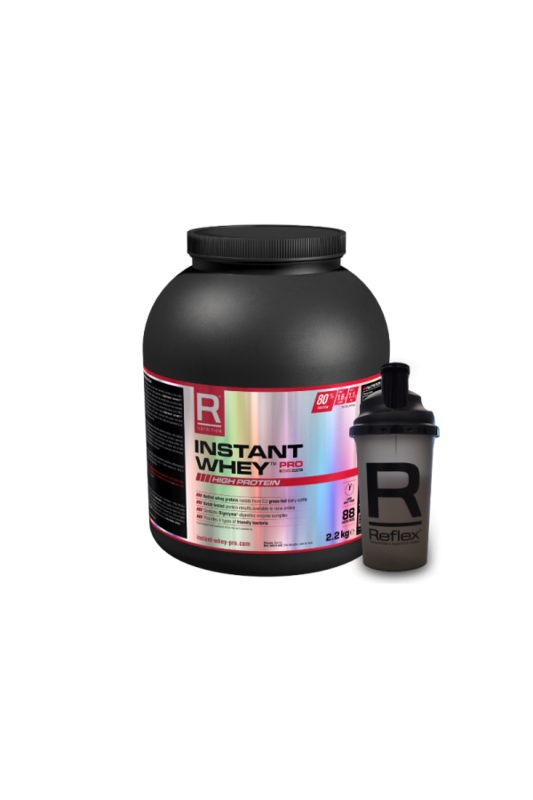 INSTANT WHEY™ PRO also includes the new improved super CFM whey protein isolate, hydrolysed whey proteins and pure undenatured whey protein concentrate - all European sourced and guaranteed to be completely free from rBST, antibiotics and other unwanted impurities. INSTANT WHEY™ PRO continues to deliver additional high quality glutamine peptides, whey peptides in combination with the 25% increase in Digezyme® Enzyme complex which provides Protease, Amylase, Lipase and Lactase enzymes. Our R&D team were also tasked with developing the very best flavour and texture profiles. By working with the worlds very best flavour houses using their very latest technologies we believe that we have achieved the ultimate balance of the highest quality ingredients, the broadest spectrum of synergistic and innovative ingredients and now what we believe are the markets best flavours and texture. Are you using a multivitamin? If you're serious about your training and health, you are likely to be using a multivitamin. The question is whether you are choosing the best possible product. If you don't currently use NEXGEN® or NEXGEN® PRO, then you owe it to yourself to find out more. These products are made by us in capsule form for greater absorption. They contain chelated mineral and vitamin forms which are higher quality and more readily used by the body than oxide forms that are used by most other brands. They include an array of the most appropriate ingredients many of which are patented and found in higher dosages than the competition.